Happy Monday, Lovelies! 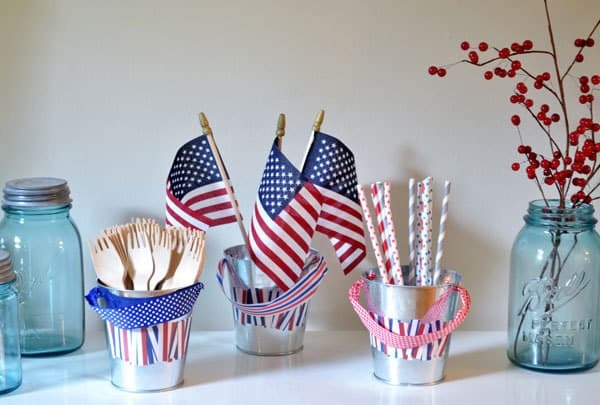 Hard to believe that Summer is in full-swing, and on that note, I’m sharing an easy way to embellish simple and inexpensive tin pails for your Fourth of July celebration (it’ll be here before we know it). 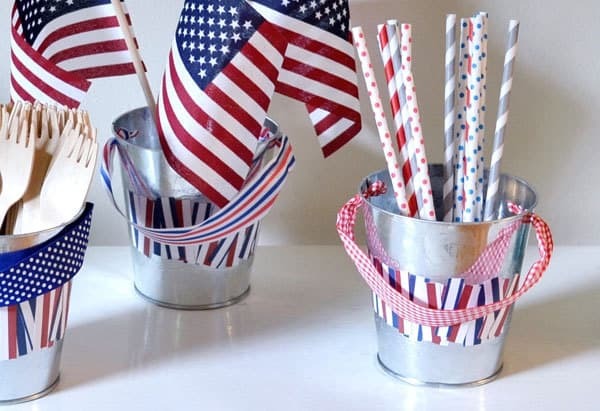 While perusing the Dollar Section at Target, I ran across some simple tin pails with July Fourth-inspired ribbon strung through them. 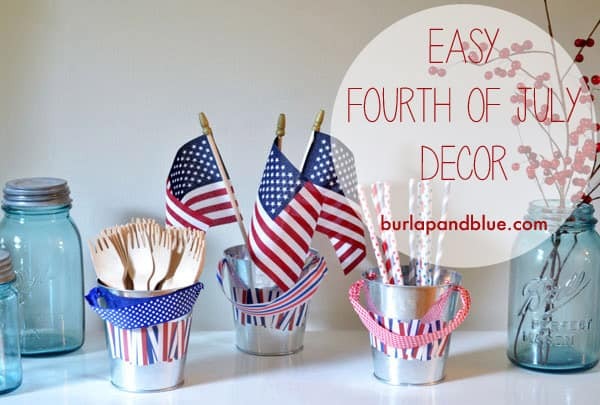 I loved them, but wanted to add a little something extra to gussy them up for my Fourth of July table. Step 1: Take your scrapbook paper, and cut into small rectangular pieces. I chose these red/white and blue/white striped papers that I found at Hobby Lobby. You can use a paper cutter, but I liked the different widths I got when I used scissors. 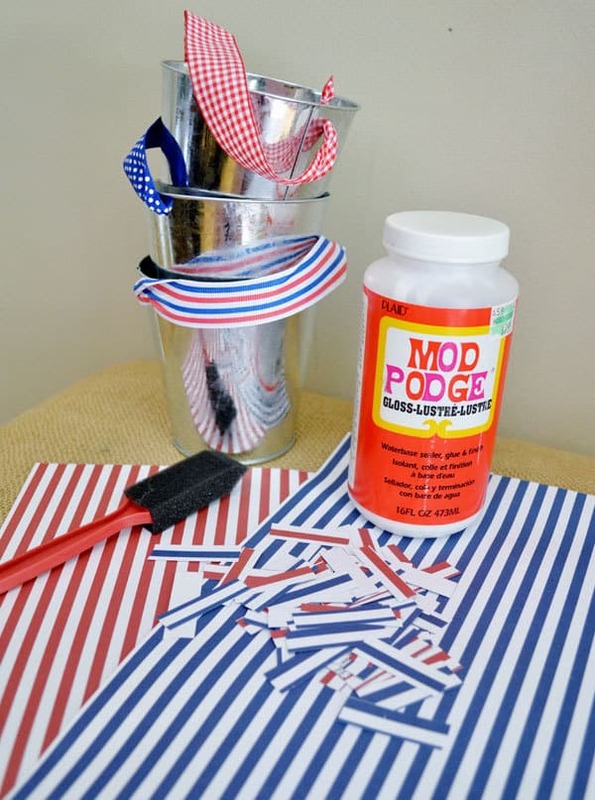 Step 2: Take one of your pails, add a bit of Mod Podge, and start applying your strips! This went fast…I seriously wished I had bought more pails for this project. Once dry, apply two coats of Mod Podge to seal, making sure to let the pail dry between coats. 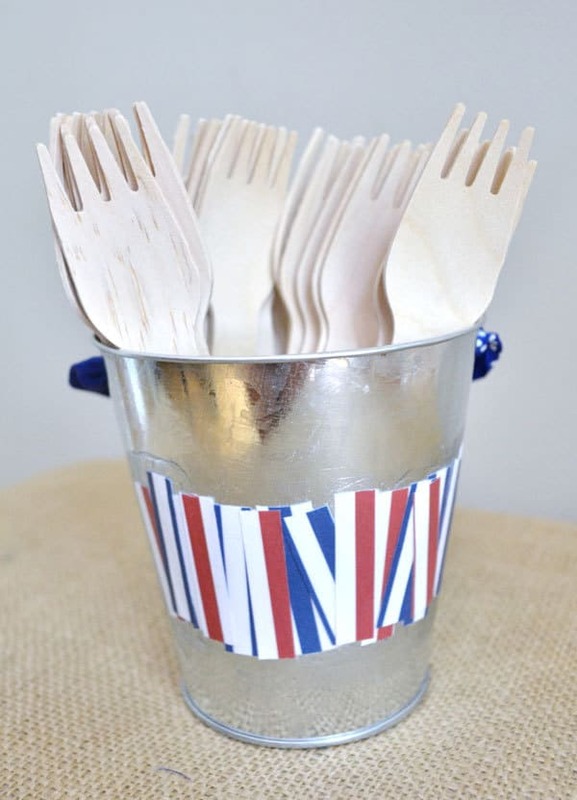 I will be using mine for mini-flags, wooden utensils, and paper straws. 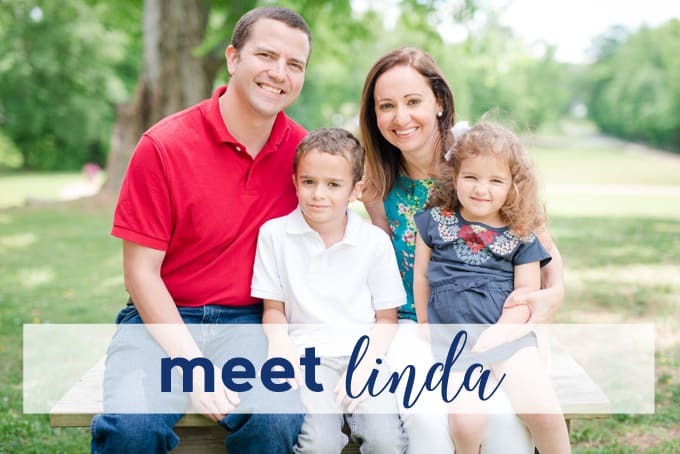 You can also use these as placecards/favors and fill with goodies for your guests to use during the party or take home with them.